The love you have for your beloved must be expressed and the feelings you have are what your beloved should know. And quite simply you can take up a floral strand to let him/her know about your truest feelings. 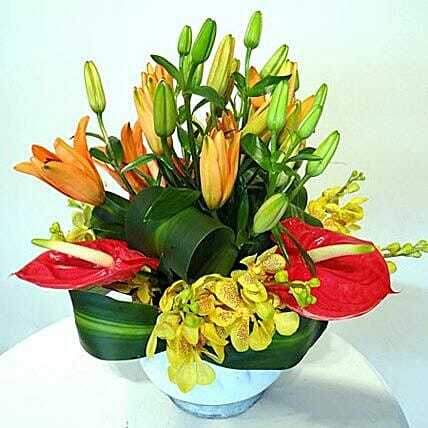 Send this appealing arrangement of orange Asiatic lily, red anthuriums, and yellow mokara orchids arranged beautifully in a fish bowl.